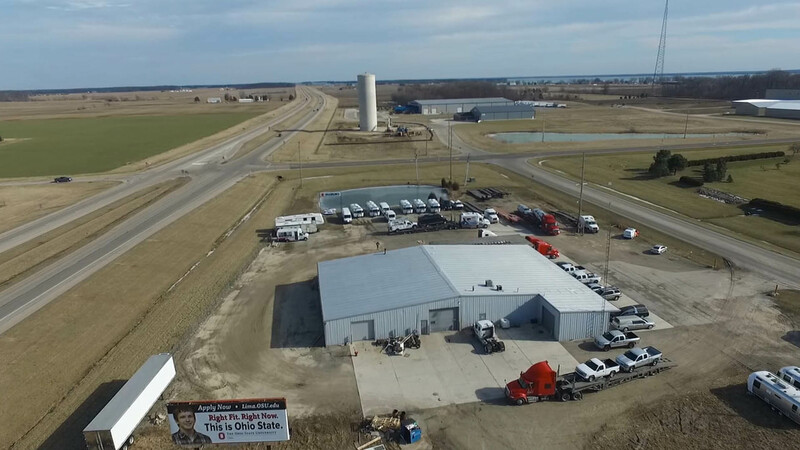 McCullough Transportation Services, LLC is located at the nations crossroads I-70 and I-75 in west central Ohio. At MTS we are a worldwide transporter of all sizes and types of vehicles. Our specialty is the longer and larger units that are a little more difficult to transport As an AA+ Accredited Business by the Better Business Bureau, our goal is to provide the personalized service you lose with the bigger guys. If fact, the lions share of our business comes from referrals from past customers. With our sister company, Specialty Vehicle Transporters, LLC , if we are not able to get there quick enough we can bring in one of our preferred carriers that we regularly work with and many times be there within hours. If you look below on this page you will see a LIVE shot of state of the art dispatch center where our team is hard at work for you. Our technology provides for easy signing, payment and tracking of your order. We would love to earn your business! In 2011 with one truck and a vision for the future, mentoring by 30 year Industry Veteran Tom Case of Case Leasing and Rental, we have steadily grown into an solid transportation Company. MTS transports everything from the Iconic Airstream Trailers to the Finest in Mercedes Benz Sprinter Limoâ€™s and stretched autos to up fitted trucks for such fortune 100 companies as AT&T and Verizon. Most recently MTS was trusted with transporting the fleet of Limousines for the Muhammad Ali Funeral in Louisville, KY. As you can see from our site we are committed to doing our very best on every single move. Spend some time getting to know us and donâ€™t miss our exclusive â€œLIVE CAMâ€� with a live view of our state of the art dispatch center. Our customers have asked and we have taken on some crazy tasks so do not be afraid to call us anytime . Thanks to our staff and drivers for doing their very best to meet each move as if you were our only customer becoming our "CUSTOMERS FOR LIFE". 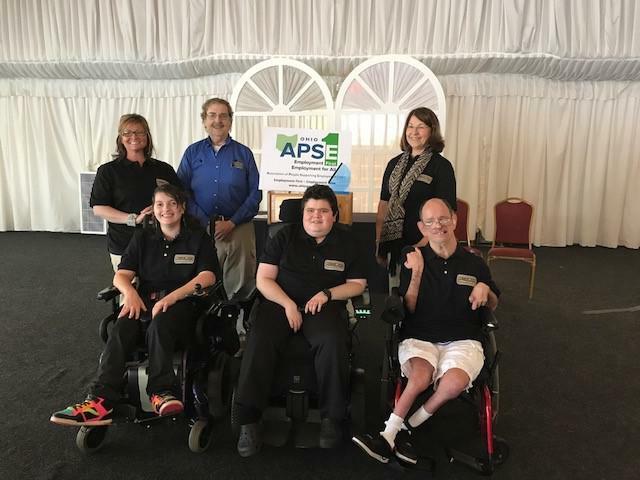 McCullough Transportation Services is the proud recipient of the 2017 Small Business of the Year Award from the Ohio Association of People Supporting Employment First. McCullough Transportation Services proudly employs people of all different ability levels. Our greatest assets are the terrific people that work with us! We Thank you ALL! Pictured Top Left: Terra Henkle, Curt McCullough, Char Piening. Pictured Lower Left: Dani Quinter, Chance Now, Kirk Cunningham. Welcome to our new state of the art dispatch center. With this almost $100,000 investment, we can monitor all of the most active load boards, up to the minute traffic, and weather. We have installed in our trucks A GPS system that will monitor our fleet to within 50 ft. of where they are located any hour of the day and night. This allows us to help guide them to the safest delivery location and assist with delivery times. At the end of an exhausting day, we are able to assist in locating them a safe place to settle down for the night. There are far more trucks on the road than there are places to park. As orders came in from our regular customers via internet and by phone, we can build the loads based on the driver and the trailer they are pulling. The capacity of each trailer varies based on the size, weight, and the destination of the units being shipped. Timing of the delivery is also a major issue at times. This Networkfleet system, by Verizon tells us the speed, RPMâ€™s, and If there are sudden stops, It will drop a marker every 2 minutes so you can see a trucks routing, and if the truck has any mechanical issues we can see it. We can assist with whatever repair is called for, and a dozen other functions that we use in our daily work. Â© Copyrights McCullough Transportation Services 2016. All rights reserved.